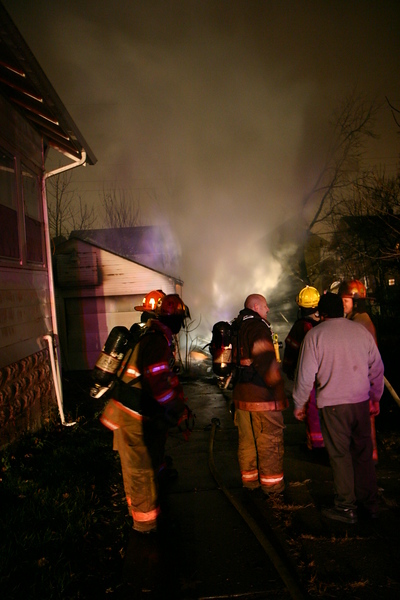 Station 5 on scene gave heavy fire on a detached garage. E5 Fire Attack from the West, E9,SQ5, and E10 were Fire Attack from the East, BAT9 was Command. A power line that was still arcing forced crews to back up from the structure. Fire attack crews did a great job at stopping this fire from spreading to any of the direct exposures next to this fire.